Ten fidget spinner tricks keep this marble run moving slowly but steadily forward in one long and delightful take. Spinners is the latest chain reaction video by marble run aficionado Kaplamino. 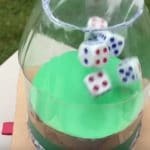 There are more Kaplamino marble run videos on this site including the catapult-filled Blue Marble, and Magnets and Marbles. 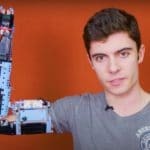 Plus: Red Ball Adventure, A Japanese ‘Pythagoras Switch’ Rube Goldberg Machine for charity, Paul Grundbacher’s wooden marble machines, more marbles videos, and more chain reaction videos.